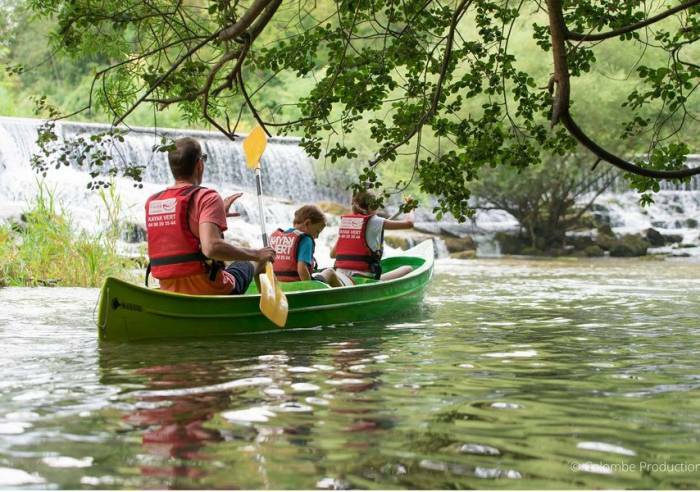 Canoe and kayak rental from Fontaine de Vaucluse; 8 km guided family trip, 2 hour duration. Allow half a day. Rental equipment available from 3rd weekend of April to late September. Kayak Vert organises canoe and kayak trips down the river Sorgue between Fontaine-de-Vaucluse and Isle-sur-la-Sorgue and accompanies you as you navigate the river's crystal clear waters, through unspoiled scenery, from Fontaine-de-Vaucluse to Isle-sur-la-Sorgue. (Duration of trip: 1-2 hours). Provence à Vélo Partner, cyclists welcome and bicycle hire. Group adults: 14 to 16 €.